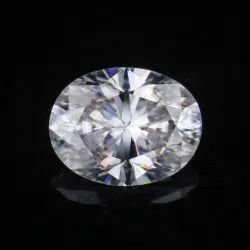 Lab grown diamond is Manufactured in lab and Natural Diamond is Manufactured from natural rough.Hardness or Natural and Lab grown diamond are completely same thats is 10. Lab grown Diamond and Real diamond both lustre will be forever same . We introduce our business as a notable entity of qualitative array of Tambuli Old Cut Diamond. Crystal Diamond is used as a diamond substitute. Crystal Diamond increases the stamina and makes the marital life happy. It also improves health, checks untimely death. It enhances artistic abilities and purifies our passions. It is said to make one more attractive. We are engaged in presenting a superior quality range of Solitaire Diamond. The diamond is not only the hardest gemstone, it is in fact the hardest mineral on Earth. That combined with it's brilliant fire, and exceptional lust has made the diamond one of the most prized gemstones in the world.